All bookings for Raid My Wardrobe events are done on-line. Wait for open date via our newsletter (Subscribe here) and submit your application for review. Applications are open for a week. No further applications can be accepted after the cut-off date. Please ensure to include quality photos and an interesting eye catching description of your wardrobe cull. Good quality women’s preloved fashion in washed, ironed, undamaged condition including; clothing, shoes, bags, jewellery and accessories. We pride ourselves on selling quality fashion, so as a general guideline the majority of your items should have an original Recommended Retail Price of over $50. It is fine to include a few cheaper brand items. Underwear and swimwear with tags still attached or in original packaging and near new sportswear is also acceptable to sell. Can I sell winter and summer fashion at all events? Each event does have a season focus – March (Autumn), June (Winter) and August (Spring/Summer). You are most welcome to sell all seasons at each event as if they are popular high street/high end brands they will sell. We have found though that shoppers typically purchase the fashion items of the the current or coming season at each event. How much is a stall and what does it include? Stall Hire Packages start from $75 (Newcastle) and include: indoor selling space 2.8m x 2.8m, 1 x trestle table, 1 x chair, space for 2 clothing racks (you need to bring your own racks), public liability insurance, GST, excellent indoor venue (including change room facilities and refreshments) and advertising. Hire fees are paid via PayPal. No, you can complete all sale transactions as a Guest via PayPal. Where can I get clothes racks from? There are a few options. Try to see if any of your friends have some, sometimes 2nd hand stores in Hamilton North carry them. If you know someone in clothing retail you maybe able to borrow some. Know anyone handy? they maybe able to make you some. Place a wanted ad on freecycle or our Facebook page. Search gum tree. Failing all that you may have to buy some from K-mart, Bunnings etc. I’ve booked a stall to raise money for my charity, how can I promote it? A stall at Raid My Wardrobe is a fantastic way to fundraise money for special ventures or to donate to charity. It is fine for you to have a sign and flyers to let those customers who shop from your stall know what you are raising money for and the charity you are supporting. We are also happy to cross promote it through our social media sites. It is not ok to sell raffle tickets or fundraising items like chocolates from your stall or to have a collection tin at your stall. What time do I start setting up from? 7.30am. Doors will close 8.30am sharp! Don’t risk forfeiting your stall fee. I’m in business, how can I join the events or connect with RMW? A We have a number of opportunities in how we can partner with other businesses depending upon the nature of your product or service. All stalls at each event are reserved for women selling quality preloved goods only but we have opportunities for lucky door prizes, sponsorship, flyer distribution, newsletter advertising, blog and Facebook promotion etc. 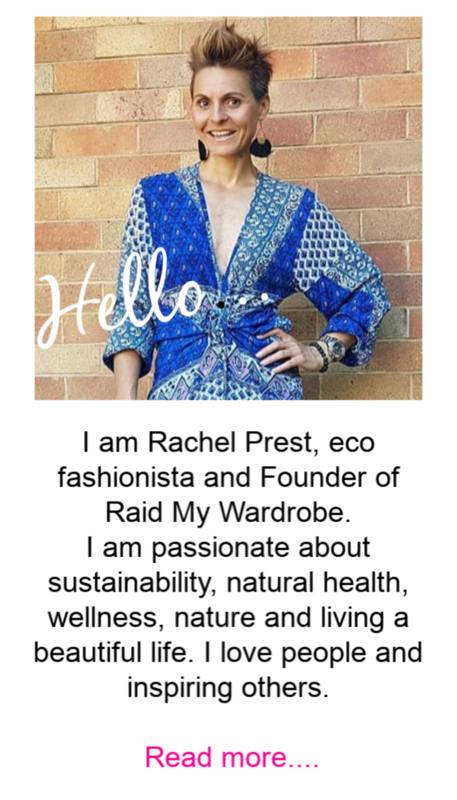 Please emailinfo@raidmywardrobe.com.au to request a media kit or further information. I have over 300 items to sell is that too much? Yes. Generally around 150 clothing items plus shoes, bags, accessories typically fills a stall space possibly 200 (putting some things under the table and bringing them out as you sell them). Anything over 200 your stall space starts to look too squishy and off putting. Many shoppers will by-pass and move to stalls that look stylish, spacious and with racks not overflowing or difficult to look at because they have too many clothes loaded on them. Do I need to pre-purchase entry tickets for events or just VIP tickets? Can I just turn up and pay at the door? 2/ Ladies begin lining up out front from about 9am to enter at 10am (once doors open). We begin collecting entry fees from 9am to ensure the majority of those lined up outside can walk straight in once the doors open at 10am. 3/ If you want to turn up at 9.50am and not line-up (then you need to pre-purchase a $5+booking fee ticket) you’ll skip the line-up of about 300-400 odd ladies and enter right on 10am. Buy that ticket here! 4/ If you want to skip all line-ups and crowds and shop in comfort pre-purchase a $25 VIP and enter at 9am and have free hot drink.Buy VIP ticket here! 5/ If you are unsure of what time you’ll arrive, just pay the entry when you arrive at the door. How can I avoid the crowds while shopping at events? Are there fitting rooms at events? Yes, each event has fitting rooms and mirrors for your comfort. Stall holders are encouraged to secure full payment for garments taken into the fitting room area. Shoppers will be refunded this amount upon return of the garment/s if unsuitable.